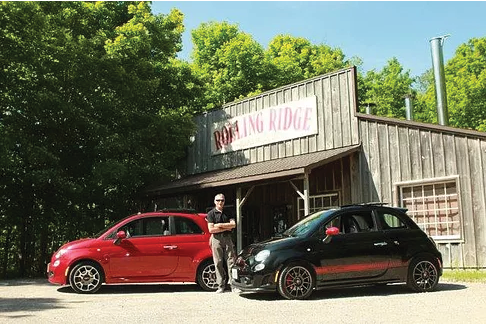 Bill Dampier bought these two Fiats after visiting the Detroit Auto show. The first one was the red one and his hyper- black Abarth came out the next year. 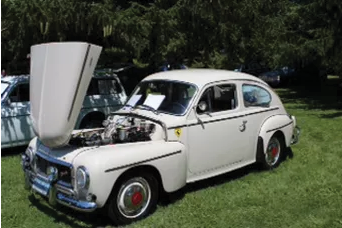 Since the Abarth had more of the features he wanted, he sold the red one and patiently waited for the Abarth turbo with its 160 hp, a 5 speed stick shift, with track handling and very fast – His was the first one in London, Ontario, Canada. 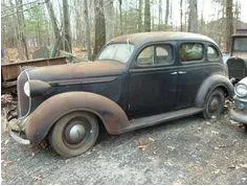 Bill grew up on a farm just north of London Ontario and his first car was a $50.00 1938 Dodge Deluxe. At 15 he learned to drive on a track on the farm. The next year, he found a 1949 Ford and began to customize it right away. His shop teacher helped with the modifications in trade for Bill seeding his lawn. To pay for his car, Bill took a job as a custodian at his high school and after class, he worked cleaning up the mess of the day. The worst job he says was the lunchroom garbage. Bills family ran Gammage Florists in the Hotel London and he worked there from about age 10. 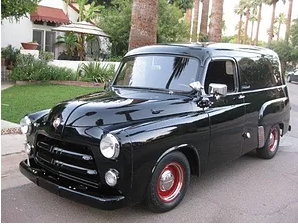 After 16, he and his cousin Gard Gammage began to take the two 1954 Dodge panel vans on deliveries. He has always lived in the country and is known as a car guy. He finished 84th in a field of 105 cars – even after losing an hour stuck in mud! Sterling Moss’s sister Pat Moss also ran this rally. 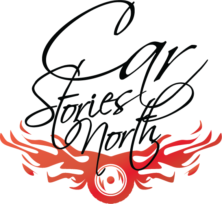 After the Sprite, and now with a family, the next car was a modified Volkswagen bug – mostly for local rallies and some grocery hauling. He really wanted a Volvo PV 544 when he saw them rally in the Shell 4000. It was faster and less temperamental than the Sprite. The Volvo had the speed and handling and the room he needed to haul his family around. Over time, he owned three 544s. His last one came from California 40 years later. Bill drove it back to London in 2005 by himself -a trip with great memories. Over years, he worked on that car to make it almost perfect. Bill really liked his new Red Fiat 500 but as soon as he saw the Abarth version, he almost ran to the dealer to put one on order. The Abarth takes him back to his rally days and it is a real blast on country roads. A real hot rod! The early Fiat 500 Abarth was the brainchild of Karl Abarth and it first raced in 1958. At the Monza Italy race track over seven days and seven nights, the Fiat 500 Abarth broke six international records, nearly one every day. 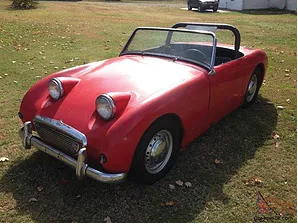 This little car has the headroom Bill needs and he says “it sounds awesome under hard acceleration. It revs eagerly to redline in each gear, and makes fantastic sounds when changing gears”. Then he says, “the 160 hp feels more like 200 in this little car. And then I hit the sport button! The straight pipes make quite a racket”. Bill’s big grin tells it all!